Now senior citizens will have the option to avail either the full concession provided to them on rail tickets or half of it. The Railways is exploring ways to reduce the Rs 1,300 crore subsidy burden in the senior citizen category. The new system will be operationalised shortly after upgrading the ticketing software. The Railways bears 43 per cent of the cost of train fare even as the state-run transporter incurs a loss of about Rs 30,000 crore a year in subsidising passenger fares out of which Rs 1,600 crore is for concessional fares. Though there are many categories of passengers including sports persons and differently-abled persons who avail concessions, the major beneficiaries are in the senior citizen segment. The total amount of concessions given in the senior citizen category is about Rs 1,300 crore a year, said a senior Railway Ministry official. At present, male senior citizens get 40 per cent while women get 50 per cent concession on the total fare. Earlier, the Railways had given all senior citizens the option of either availing the full concession or foregoing it altogether while booking tickets. Now a senior citizen will be asked whether he or she wants to avail 50 per cent or 100 per cent concession while booking tickets, the official said. Recently, a passenger travelling from Jammu to New Delhi saw the message written on his ticket about the 43 per cent subsidy borne by the Railways. 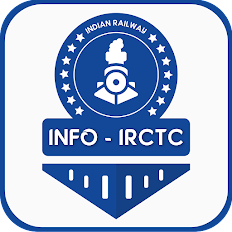 He then decided to forego the subsidy and sent a cheque of Rs 950 to the Indian Railways Catering and Tourism Corporation (IRCTC) for a similar train journey undertaken by him and his wife on the Jammu Rajdhani. He sent the cheque along with a letter addressing the railway minister stating that "he will never avail such financial benefits in future".However, the national transporter had to return the cheque as there was no provision to accept such an offer. Railways spokesperson Anil Saxena also clarified that there is no move to appeal to general passengers to forego subsidy in passenger fares on the lines of the 'Give It Up' campaign targeted at LPG consumers. The Railways recovers only 57 per cent of the expenses incurred for passenger transportation through sale of tickets of all classes.